If you are behind on your mortgage, or afraid you will be soon, it’s best to contact a Colorado Foreclosure Lawyer sooner than later. There are several options available to you, and the more proactive you are the better your chances for finding the right foreclosure avoidance solution. Your home is more than just a piece of real estate. Your home is a place of great emotional attachment and fond memories. There are numerous situations that cause homeowners to fall behind on their mortgage payments and end up in foreclosure. You are at risk of the bank selling your home in a Colorado foreclosure auction as months of missed payments go by. Many of my clients have expressed a feeling of hopelessness once they get behind, and find the mortgage lender won’t even accept their payments. 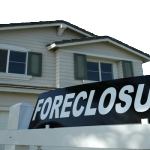 As a Colorado Foreclosure Lawyer, I often find Chapter 13 Bankruptcy is the best option for saving your home. My firm will help you fight foreclosure and keep your home. Call me, Christopher German, a Colorado Foreclosure Lawyer. The filing of a Chapter 13 Bankruptcy stops a foreclosure action in its tracks. A document called an “automatic stay” goes into effect upon filing, which orders creditors to cease their collection activities immediately. Time is of the essence when you have a looming sale date, as your Colorado Foreclosure Lawyer I need time to prepare you case. I will work on a repayment plan with you once the foreclosure has been stopped. You will be given up to 5 years to catch up on your missed payments. Although you will need enough income to continue making monthly payments on your mortgage moving forward. Home values tended to increase over time. Buying real estate was to be a good “investment”. Mortgage lenders were handing out second and even third mortgages on the equity of property. That all changed when home prices peaked in 2006, and values have plummeted since then. Paying on the negative equity of your home each month can leave you frustrated, and may not seem like the best financial decision. Many Chapter 13 debtors qualify to “strip off” their second mortgages. If I determine that the value of your home is less than the principle of your first mortgage, then your second or third mortgages are unsecured and eligible to be removed. As your Colorado Foreclosure Lawyer , I can file a motion with the court to deem these mortgages unsecured, and these liens are eliminated after completion of your Chapter 13 bankruptcy. This is great news for debtors. This means you will only be paying on what your home is actually worth! This is a great one of a kind tool in helping home owners keep their property. A short sale occurs where the bank agrees to sell the property for less than what is owed. 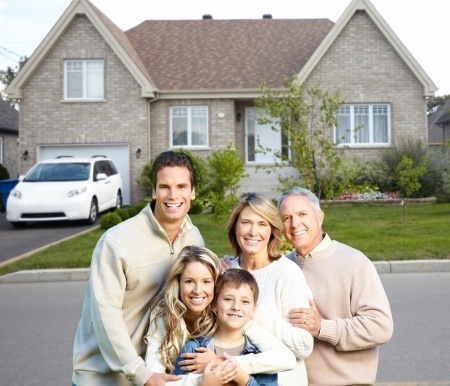 In some situations this can be beneficial opposed to a foreclosure. It allows you to walk away from the home without a foreclosure on your credit report. You should take some precautions when considering a short sale. Short sales often take up to a year for bank approval. The bank can initiate the foreclosure process at any point the short sale negotiations are taking places, halting the short sale. Once a foreclosure proceeding has begun, it goes on your credit report regardless of whether your property has actually sold. You may also he held responsible for the difference between what the house sold for and the note due. It is important that you contact a Colorado Foreclosure Lawyer to ensure your short sale documents represent your best interests. In some situations debtors decide they can no longer afford their home, or are simply too far under water on it. Talk with me, a Colorado Foreclosure Lawyer about the option of surrendering the property in bankruptcy and discharging the debt through a Chapter 7 Bankruptcy. Sometimes this is the best financial decision.